The New Work Department is the engine room for the NT’s creative output, developing work and artists for our stages, and beyond. Last year, almost 1000 artists worked on around 200 projects in development. The department was created in 2015, bringing together the devising and experimentation work of the Studio and the script commissioning and development focus of the Literary Department. All our artistic development is now led by the New Work Department, including new play commissions, workshopping of devised projects, and new treatments of classic texts. We nurture emerging talent, as well as providing dramaturgical support to mid-career and established artists. Our aim is to create the conditions for writers and artists to make the best possible work. 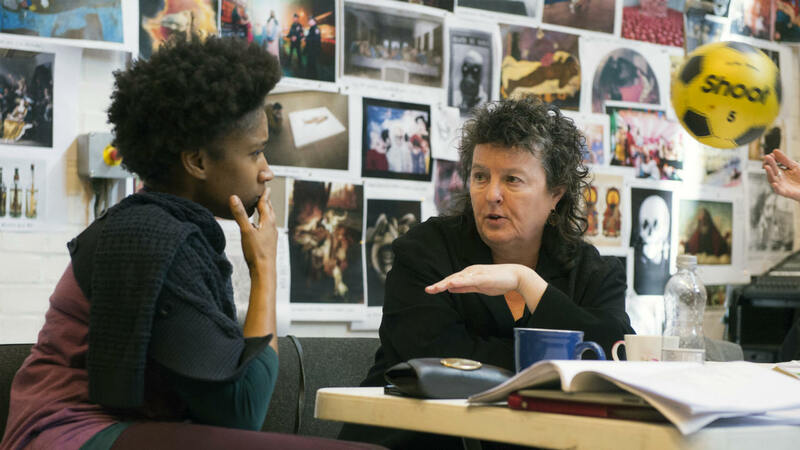 The New Work Department is a place for exploring new forms, embracing a wide range of ideas and talent, all the time keeping questions about audience and the programming priorities of the National Theatre at its heart. 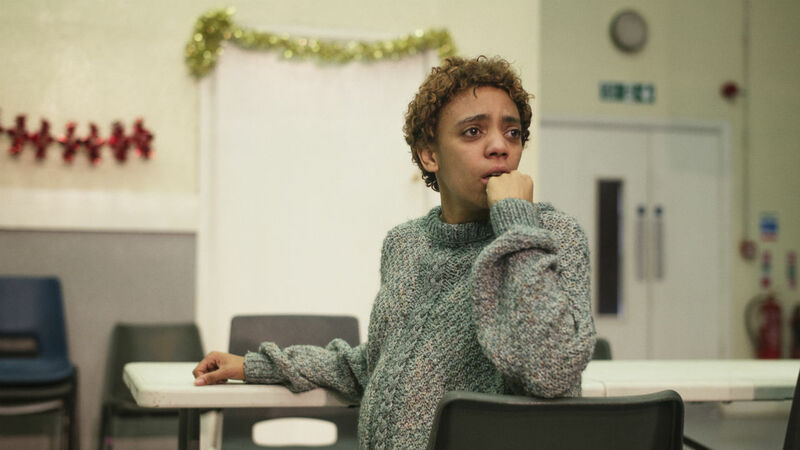 We work with a diverse group of theatres, writers and artists, offering resources and support to development of work for stages around the UK. The New Work Department is based at the Studio, our laboratory for theatrical experimentation of all kinds. Since its foundation in 1984, the Studio has played a vital role in developing work for the NT. It is a resource for a wide range of artists from across the sector, providing an environment in which writers, actors and practitioners of all kinds can explore, experiment and devise new work free from the pressure of public performance. The Studio building on The Cut is equipped with three workshop studios, five artists’ rooms, meeting rooms and the technical capacity to support cross art-form and multimedia work. It now also houses our Immersive Storytelling Studio. The New Work Department is the main department that works with writers. We evaluate, develop, and recommend projects to the Director, Deputy Artistic Director and the Associate Directors, who then assemble a programme of the highest possible quality and the broadest possible range. This work includes assessing unsolicited submissions from the UK and recommended submissions from elsewhere. We identify and support emerging talent by offering readings, workshops and attachments, commissioning and developing new plays and adaptations. We also commission new translations of classic and contemporary work from around the world, considering the playwriting canon to rediscover the great and neglected plays which should be revived. We now also prioritise the delivery of training opportunities for artists across a range of levels and from all backgrounds. The NT has some of the largest stages in the country and we want to ensure we are supporting and developing a diverse range of artists who can cope with the demands of these spaces. One central priority for artist development is to focus on mid-career artists who are beginning to make work on main stages around the country. The Department is keen to see the work of more emerging artists. However, please note we do have limited capacity and cannot see the work of everyone who approaches the NT. Every year the New Work Department offers around 25 attachments to a variety of artists, including writers, directors, choreographers and designers. Attachments can last anything from two weeks to three months, and are designed to enable artists to be resident at the Studio, with a desk, a computer, a phone and all the benefits and familial connection that being part of the Studio team entails. Attachments are given by invitation. The National employs a number of Staff Directors, whose responsibility it is to rehearse understudies and look after Lyttelton and Olivier productions once they have opened. Staff Directors are managed through the New Work Department, and we normally have around 6-8 artists working with us as Staff Directors at any one time.